Recognised as one of the world’s largest cool temperate rainforests, Tasmania’s Tarkine Wilderness is breathtaking. Visit one of the world’s most pristine forests, voted by Australian Traveller magazine as one of the Top 100 things to do before you die. The Tarkine is simply one of the most inspiring locations to visit. We stop enroute in the coastal village of Penguin to enjoy morning tea and a trip briefing with your guides. By 11am we’ll be on our way to Hellyer Gorge. 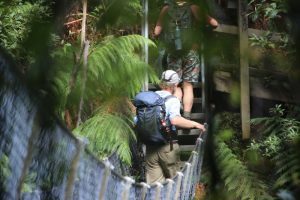 This is a brilliant short one-hour return walk through the beautiful Tarkine rainforest. We then head off and the afternoon walk is a two hour walk through towering myrtle and sassafras to the beautiful Philosophers Falls. We arrive in Corinna – our place of stay for the next three nights in the afternoon. 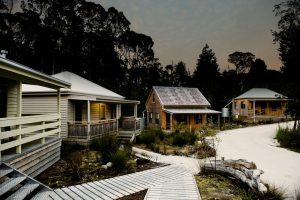 Overnight in Corinna in the heart of the Tarkine. We enjoy dinner at Corinna’s onsite Tannin Restaurant, Corinna. (Drinks at own expense). After a short drive from Corinna we head off to Mount Donaldson. 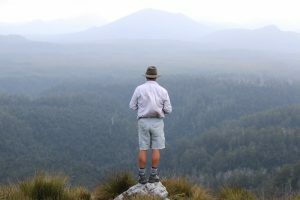 This is a three hour circular hike to summit of Mt Donaldson where we enjoy morning tea on top of Mt Donaldson with spectacular views into the heart of the Tarkine – one of the best panoramic vistas in the area. Back from Mount Donaldson and return to Corinna for lunch by the river. This afternoon’s walk of approx. 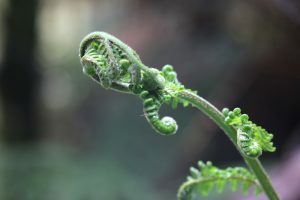 1.5 hours is along Whyte River loop trail where giant man ferns, burrowing crayfish and possibly platypus are some of the features of this beautiful rain forest walk. If the weather is hot or quite wet our guides will offer an alternative. We finish the day with pre-dinner nibbles and a delicious two-course dinner prepared by your Park Trek guides. 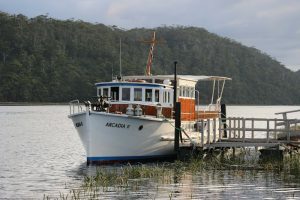 We depart Corinna this morning aboard the historic Huon Pine vessel, the MV Arcadia for a one and a half hour, 22km cruise down the stunning Pieman River and out to the Tarkine Coast. At the heads you will disembark with your Park Trek guides and explore the area. The track can be muddy and wet in places as it deviates in and out of the coast. There is the opportunity for a lunchtime swim if weather permits. We spend several hours out on the trail. We come across many Aboriginal middens that line the coast and may be lucky enough to spot a Tasmanian Devil in the wild. We make our way north before turning around to retrace our steps and hop back on board the MV Arcadia for lunch and an early afternoon cruise back to Corinna. If you’re feeling energetic there is the option to hire a kayak and paddle up the tranquil Pieman or Whyte river (at own expense) for the afternoon. Or, you can always relax on the porch of your cabin. Today after breakfast and lunch making we enjoy some short morning walks around Corinna before packing up and heading off. By mid morning we’ll be loading ourselves onto the Fatman Barge, crossing the mighty Pieman River. We make our way south to the idyllic village of Zeehan for morning tea. 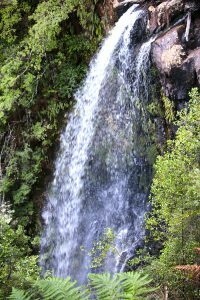 One of Tasmania’s great short walks – Montezuma Falls is our next stop. While it is a relatively easy walk nonetheless it is a 9.6 km undertaking so you should get a good stretch of the legs. The falls themselves are Tasmania’s highest single drop and quite spectacular after rain. We enjoy lunch at the base of the falls. Then its onto Tullah Lakeside Lodge. Breakfast and then time to embark on the challenging but rewarding trail to Mount Farrell. This 3 hour return walk is graded moderate to hard with a steep incline but the views from the summit are well worth the climb, offering a vista over the Tarkine, Lake Tullah, Roseberry and Cradle Mountain. Corinna Wilderness Experience (3 nights): Our eco wilderness retreat cottages have their own private facilities; all linen is included. Our accommodation includes two-bedroom cottages which have a twin room and double room, shared bathroom plus its own lounge and kitchen area. Each cabin has its own bathroom, but none of the individual rooms within the cabin have their own en suite. You can choose a single supplement if you would prefer not to share a room, this means you would have one room in the two-bedroom cabin and could be sharing the cabin (and bathroom) with one or two other guests. Corinna runs on solar power so just be mindful of this, there is electricity for charging devices, but no television, mobile coverage or WI FI at Corinna. For heating purposes there is a small gas fired log fire in each cabin. Tullah Lakeside Lodge (1 night): Our accommodation at Tullah Lakeside Lodge is in spacious premium rooms, either twin or double bedding configurations (single room available for additional expense at time of booking). Each room has its own bathroom facilities with toilet and shower, linen/towels and tea/coffee facilities are included. I just want to let you know how much I enjoyed the trip to the Tarkine. I would like to compliment our wonderful guide Andrew, he is such a nice person and so knowledgeable. Nothing was too much trouble. I just wanted to let you know how much I enjoyed the trip to the Tarkine. What a wonderful place and such spectacular scenery. I would just like to compliment our wonderful guide Andrew, he is so knowledgeable and a lovely guy. Nothing was too much trouble. Staying at Corinna was a great experience, all in all a great holiday.